A visit to an animal shelter will get you started on the road to canine redemption. Need incentive? 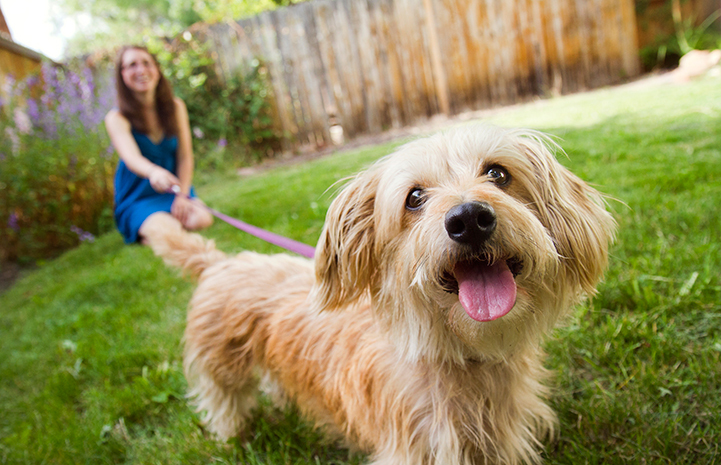 Here are 10 compelling reasons to adopt a shelter dog. What are you waiting for? As the environmentally conscious recycling movement has proven, it’s easy (and fun!) being green, and dog adoption is the noblest form of recycling. You don’t need to buy.. just adopt from a local shelter! Every year, millions of healthy, sweet, soulful dogs are killed at animal shelters across this country just for lack of cage space; as with people, bad luck can cause good dogs to become homeless through no fault of their own. By adopting a shelter dog, you’re doing your part to help end the nationwide crisis of homelessness. With so many charismatic celebrities walking around with adopted dogs by their side — Lenny Kravitz among them — it’s clear that adoption isn’t just the right thing to do, it’s the cool thing to do. To your adopted dog, you’re the resident rock star! You know all those people who are so proud of their honor-student kids? Well, adopted dogs are super-smart, the Mensas of muttdom. So skip the bumper sticker — flaunt stray pride with a cool collar or T-shirt. Even your coffee can proclaim pride for pound pups! Don’t you want somebody to love? Somebody who will actually love you back? For anyone who’s ever suffered the pangs of unrequited affection — and who hasn’t? — rest assured that an adopted dog will return those tender feelings tenfold. No more lonely nights! Got performance anxiety about trying out a new hobby or activity? With an adopted dog as your nonjudgmental audience or workout partner, there’s nothing to fear. Exercise routines? Gourmet cooking? Knitting? No matter! Your efforts will get an A+ even if they deserve a D! Adopting a dog proves you’re a person of great inner depth who values substance (a mystery dog of unknown parentage) over style (a predictable pedigreed purebred). But hey, if you’re a style hound, there’s no more stylin’ statement than a shelter dog — she coordinates beautifully with any outfit or style of decor! And there are plenty of breed specific rescues to choose from. Are you a political animal? Then reaffirm your faith in the democratic process with an adopted dog. After all, shelter mutts are the people’s dog: E Pluribus Unum, one dog out of many. Uncle Sam wants YOU to adopt today! Will you be adopting a new dog this month?